Yves Béhar is embarking on a new adventure in his long and illustrious career. The Swiss-born designer has partnered with Newgard Development Group on Centro, an innovative, 37-level residential tower in the heart of downtown Miami, scheduled to open next year. While this is his first condo design, trying new things is old hat for Béhar. Since founding his San Francisco-based studio, Fuseproject , in 1999, Béhar has redefined the role of designer, bringing new life to existing brands and building new brands from the ground up. Socially-conscious endeavors like One Laptop Per Child —which has delivered over three million computers (and now tablets) to children worldwide—and Whole World Water , are passion projects for Béhar as much as his award-winning work for companies including Herman Miller , Puma , Sodastream and Landscape Forms . Here, Béhar discusses his latest projects, his longest collaborations, and why 21st-century design involves “fusing” different disciplines. 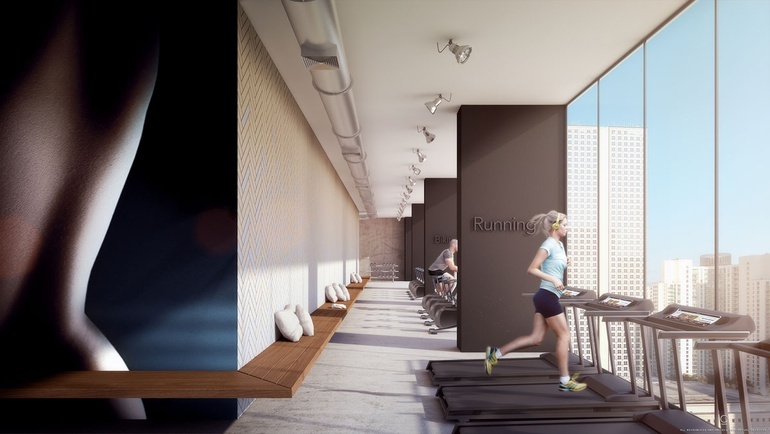 Interior Design: Your design for the new Centro Lofts in Miami is your first commercial residential project. How did you approach it? 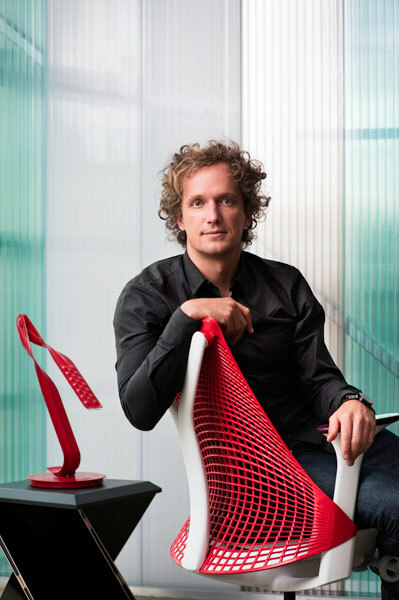 Yves Béhar: For me, designing downtown living is about being consistent with the cultural life surrounding Centro. It is not about decoration, or prettifying. Instead it is about the honesty of the exposed concrete, the strength and beauty of the machined metal, the clarity of the use of local and sustainable woods. My approach is about making the interior experience honest, a bit raw, and softening it up with lightweight LED lights floating in the space—in this case, the Swarovski Amplify lanterns we designed. ID: Centro prides itself on being a new model for urban living by eliminating an onsite parking garage and partnering with a vehicle share program, among other things. Did this influence your design? YB: The non-garage approach to the building convinced me that [Newgard managing director] Harvey Hernandez is an original thinker who isn’t afraid of changing conventions in order to make a difference in a world of "me-too’s." Having electric car rentals ready upfront, bicycles for the residents, a restaurant on the ground floor open until 5 AM—all this makes Centro a true 21st-century experience, and one that belongs downtown. ID: Your work as a designer has touched upon areas that include technology, furniture, sports, lifestyle and fashion. Do you have a favorite? YB: Actually, I am continually exploring new areas with our team at Fuseproject, such as user experience and now our first commercial residential project. To me, it’s the ideas that count, not the style or studio signature. I often tell the designers in the office, “we are not designers of things, we are designers of ideas.” So for me, it does not matter what scale a project is about. . .from a small band on someone’s wrist (UP band by Jawbone), to the architectural scale. ID: Is there an area of design you've yet to tackle but would like to? YB: It has been many years since I thought of transportation, in particular cars. We have designed bicycles—the LOCAL bike will be available to residents at Centro—and an electric motorcycle, but I have not worked on a car. Today, with the electric engine, new technologies such as the driverless car, and interior/exterior sensors, I believe the car can be rethought from a human experience perspective. ID: You've been developing a new office system for Herman Miller which officially launches at the end of this month. Some might be surprised how long those types of projects take. What is the process like? YB: The PUBLIC Office Landscape system took three years to design. That said, three years is considered a very short amount of time for a new office system! PUBLIC is the first system based on collaborative seating, and compared to wall-, desk-, or storage-based systems, it is a radical departure from the past. There is no reason today to go into an office; all of our work can be done technologically and remotely. The reason people want to spend time in an office is because there are other humans there. So rather than separate people, what PUBLIC aims to do is bring people together—to create, to solve, to share, and to be productive in a way that makes people a part of something bigger. ID: What is the secret to ongoing collaborations with clients like Herman Miller and Swarovski? YB: It’s about sharing power with external designers, power to envision the future from an internal and an outside perspective. With Herman Miller, they have mastered how to engage with designers long-term, making them a part of the company’s DNA, while at the same time welcoming another point of view. Herman Miller is an expert at collaboration, extending engineering and manufacturing excellence, and putting that at the service of their chosen design partners. They are very protective of the very few designers they like to engage for a lifetime, and it is clear to me that this is a mutual feeling. ID: Many industrial designers leave the U.S. to work in Europe. You've taken the opposite journey. Is there fertile ground for design in the States? YB: That’s a good question. I was always fascinated about the future as a designer. So for me the U.S. in general, and San Francisco and Silicon Valley specifically, are the kinds of places where design can not only be a part of change, but in fact be an instigator for change. I often say, “Design accelerates the adoption of new ideas,” and there are many future ideas here in need of a boost. ID: What is the biggest obstacle to good design? YB: Stagnation. Fear of change. Focus group tests and management lack of vision. But at the end, good design does triumph: if company X does not lead with the new design and innovation, company Y will do it. ID: You've gone beyond designer to entrepreneur by co-founding August, for whom you developed the Smart Lock. How are those challenges different from, or the same as, the ones you face as a designer? YB: It is the same since I believe that what designers do is “BUILD” companies. It is different because being a partner, or a co-founder, makes the designer ultra-focused on building value for the company. Since “design is never done,” being a partner or co-founder is really the only efficient way to build companies. ID: 2014 marks 15 years since you founded Fuseproject. How has the studio developed in that time? YB: Very humbly. Back then it was me and an intern. But organically the ideas of designing with a 360-degree point of view took hold, and we grew now to an amazing team of 75. From Day One, the vision of “fusing” different disciplines into multi-faceted design solutions was there. The culture at Fuseproject is truly amazing. We are like the United Nations, but the UN that gets along! There are designers from all over the world and from a large variety of disciplines, all working together on projects pretty much impossible to realize without the varied point of views and disciplines.